A light-reflecting powder that gives the complexion a high-impact, light-reflective glow. 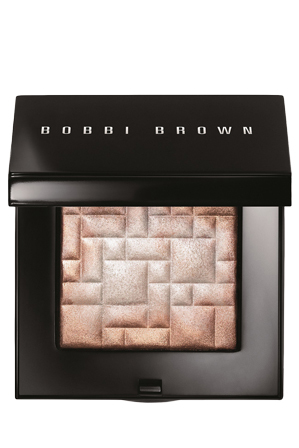 Sweep on Highlighting Powder to bring luminous, sheer color that's ideal for highlighting and strobing. A high-impact, light-reflecting powder, it's perfect for playing up your best features. Now in a limited-edition, mirrored compact with a slimmer silhouette and magnetic clasp, it's designed so you can touch up your glow on the go.